Leaders of People’s Committee in the Dong Thap province at the heart of the Mekong Delta yesterday said that related agencies and district people’s committee were requested to strengthen inspection of transportation, sales and slaughter of smuggled pigs in the border crossings. The Department of Agriculture and Rural Development was assigned to set up inspection teams to monitor localities especially these in the border crossings for fear of African Swine Fever entrance into the Southeast Asian country. The Department will work with border safeguard and soldiers to monitor quarantine mission in the border areas. Once, ASF is detected, they ought to report to responsible agencies and stop transportation as well as handle the case as soon as possible to curb spread. Director of the Department of Agriculture and Rural Development in Dong THap Nguyen Van Cong said since the beginning of 2019, no outbreak of cattle and poultry disease in the province have been found. 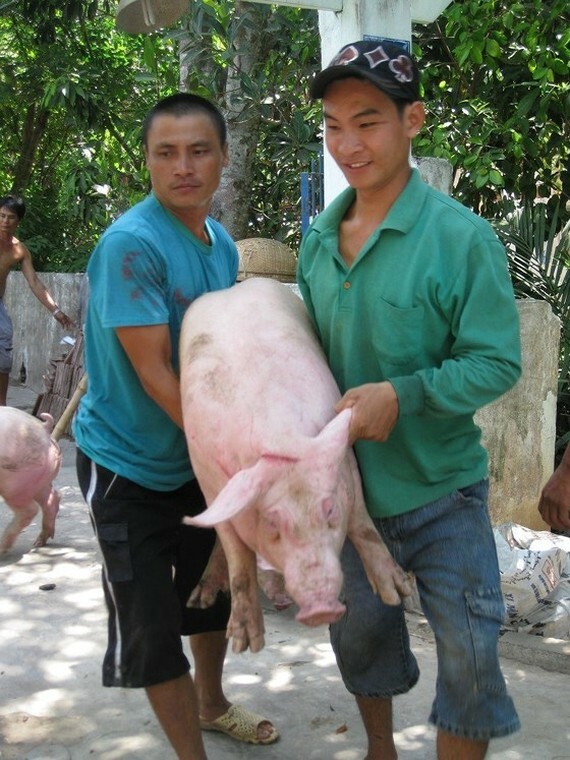 However, because of pig price in the Mekong delta is higher than in the North where ASF hit several provinces; it is highly likely that pigs have been transported from the North into the province for consumption leading to increased risk of spreading the disease. Somewhere in An Giang to the west, the provincial Department of Agriculture and Rural Development and other related agencies to implement synchronous measures against ASF. Vets and local administrations have kept a close eye on hog hers in the province to early discover the disease. Disinfection and other related tasks have been carried out. An Giang authorities have also set up quarantine station and tightened control over transportation as well as slaughter and consumption of the animal. For the bordering areas, responsible forces thoroughly quarantined import and export of pigs. In international border gates and major border markets, forces have strengthened monitoring. Those in charge of controlling the mission will be punished if the disease occurs in the area under their jurisdiction due to smuggling. People must report outbreaks of ASF to the provincial Department of Animal Health.